The best thing about science and technology is the ways it can improve our lives on Earth. It is always exciting to have medical breakthroughs, some of the more “every day problems” can be solved by science too! We haven’t been able to slow the passage of time, but we can look our best at any age, with a little help! Here are a few beauty gadgets that can help with common self-care woes. 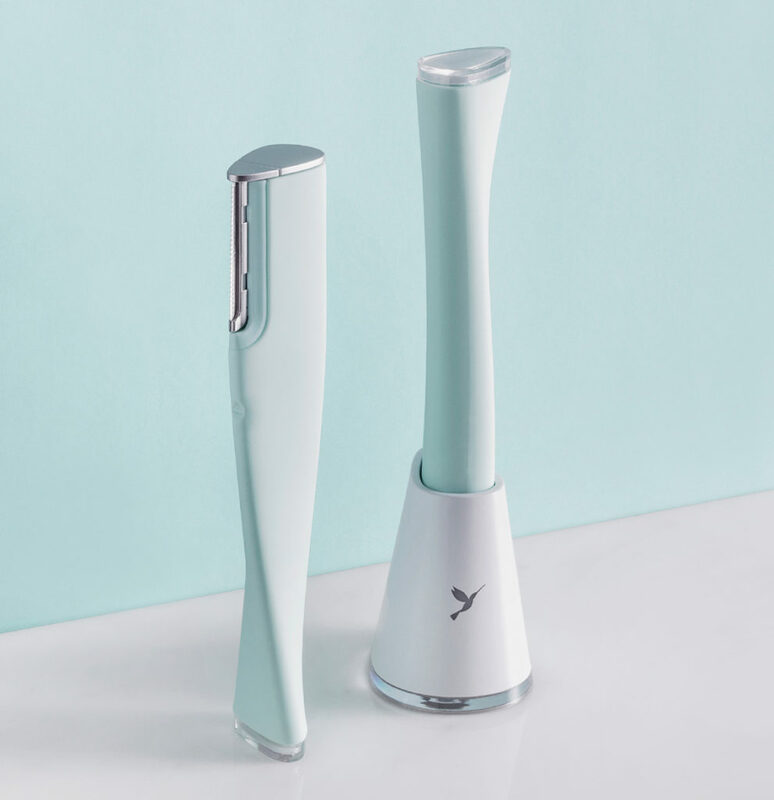 DERMAFLASH 2.0 is an at-home dermaplaning device that exfoliates like a facial peel at a spa, plus it removes peach fuzz. Yes, its a kind of fancy razor for ladies. It might be hard to accept the idea of a woman shaving her face, but it does leave skin baby soft, and allow skincare products to be absorbed better by the skin. I tried the Dermaflash 2.0, and I have used it one time. My cheeks do feel softer, and I like the overall look because makeup does look smoother on my skin. The little razor is one-time-use. The unit comes with about 5 razors (not like a traditional razor blade, more like a scraper?). I would say that for maintenance, you probably need to use the Dermaflash 2.0 every one or two weeks, or at least before special occasions. Acne can be an affliction in any phase of life, and many acne treatments involve harsh chemicals. But what if I told you there was an acne treatment that didn’t involve any chemicals at all, so you can feel comfortable using it at any age? 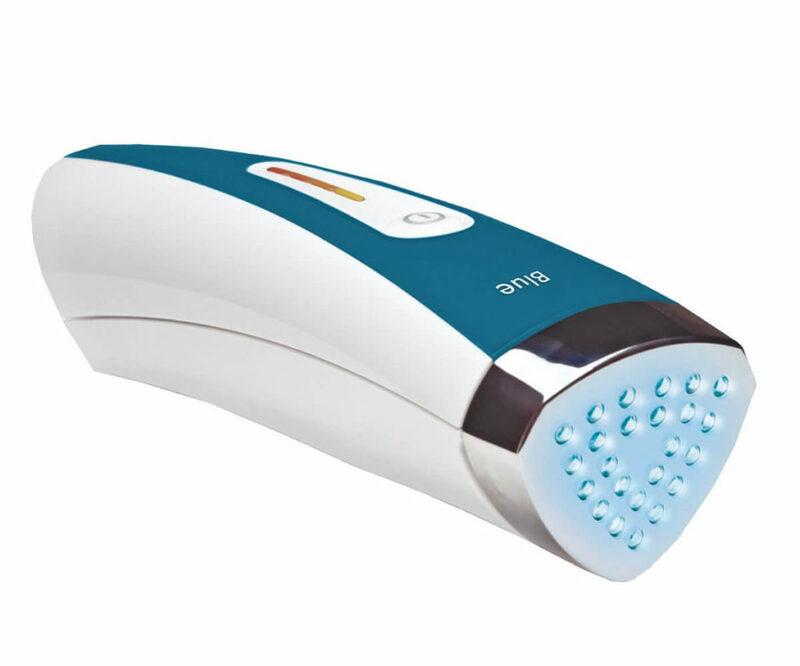 I call it my “face laser,” but the official name is the Silk’n Blue Acne Eliminator Device. To use, hold the blue light against your skin on each problem area for about 5 minutes at a time. I don’t claim to know how it works, but the blue light eliminates the bacteria found in the oil glands in the skin, and the heat combined with the blue light can even shrink the size of the oil gland. I first began to search for chemical-free acne solutions after being told by a dermatologist I would need to choose between fertility and clear skin. It is an ideal spot treatment if you are short on time, and I even let my children use it now. The face shows many changes as we age; a plastic surgeon once explained to me that we have less fat under the top layer of skin; this gives the face a “sunken” look and leads to sagging, wrinkles, jowls, and other terrible things that we don’t like to think about. But we aren’t helpless, because science exists and is here to help us. In addition to taking beauty supplements, it is worthwhile to invest in facial massage. To incorporate micro-firming facial massage into your daily routine, a good option is the Clarisonic Smart Profile Uplift. This little gadget is said to combat 15 signs of aging, defined as facial firmness, facial sagging, lifted cheek appearance, facial wrinkles, cheek wrinkles, facial fine lines, forehead fine lines, cheek fine lines, lip area fine lines, facial smoothness, facial radiance, neck sagging, neck folds, neck smoothness, and d?colletage radiance. It seems like a worthy investment for those of us who can’t go to the spa daily!